Did you know that tons of nonprofits and religious organizations use text communication? I bet you thought text message marketing was exclusive to businesses. In fact, a good majority of our user base consists of churches looking to engage congregation members with text communication. So, first things first, how exactly do your grow your church text communication list? There are tons of awesome ways, which is why we’re separating this blog post into a three part guide. Below are the most basic methods, give these a try and see how quickly your list grows. Ask congregation members to bring their phones to the service. Near the beginning or even the end, ask listeners to pull out their phones, and subscribe to the list. During this time, you can describe exactly what it is t subscribing to and what they can expect to receive in return. Do this a few Sundays in a row to capture core attendees. 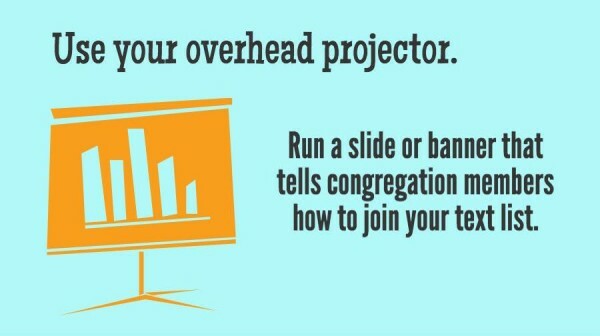 Run a banner or slide on the overhead projector. This allows members to connect with you on their own time. Although this will not necessarily encourage rapid growth, it allows for a continual flow of new list subscribers. Some people may need to see the slide a few times before choosing to engage. Here’s an example of some great slide or banner text. Want Weekly Words of Encouragement from Pastor Mike? Text THEWORD to 31996. Standard message and data rates may apply. Text STOP to cancel and HELP for help. 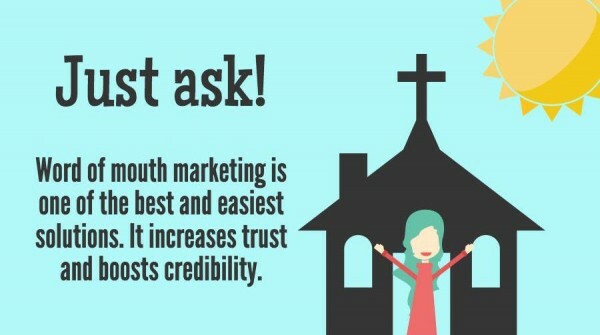 Most churches still take advantage of service pamphlets or bulletins. Although we recommend coupling this growth technique with one of the above, this doesn’t mean it’s completely ineffective alone. 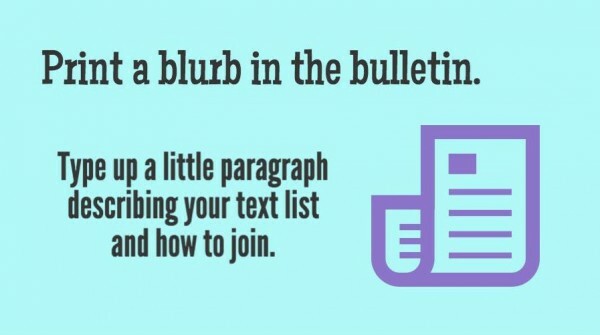 Just make sure your blurb is short, sweet, and easy to read. Your blurb might look like this. Connect with Us via Text! Check back soon for Part 2 of this awesome growth strategy. Ready to grow your church with text communication? Give us a call today at 1.800.688.6290 to sign up for your free plan.